In early September 2017, James+James launched a new line of dining furniture featuring solid hardwood construction and five new finish options! Meet Vera and Caroline, two of the new tables in the Fall 2017 Collection. 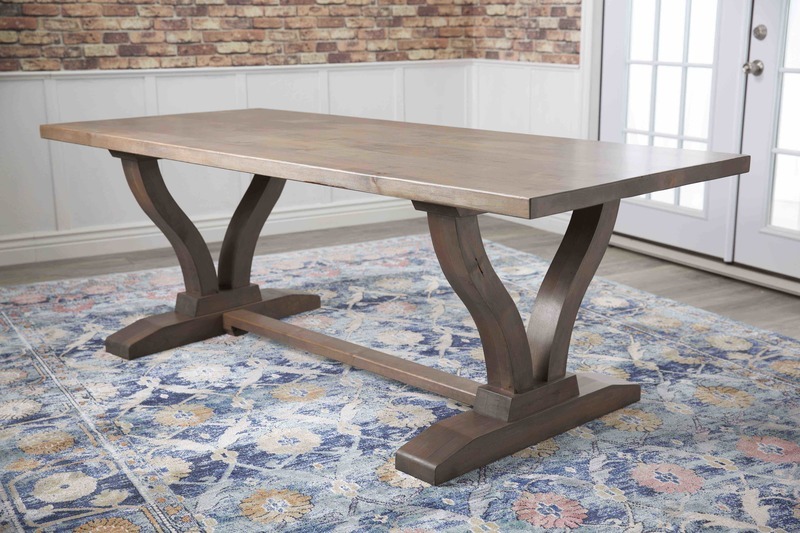 The Vera Trestle Table was inspired by old world European style - with a contemporary update. 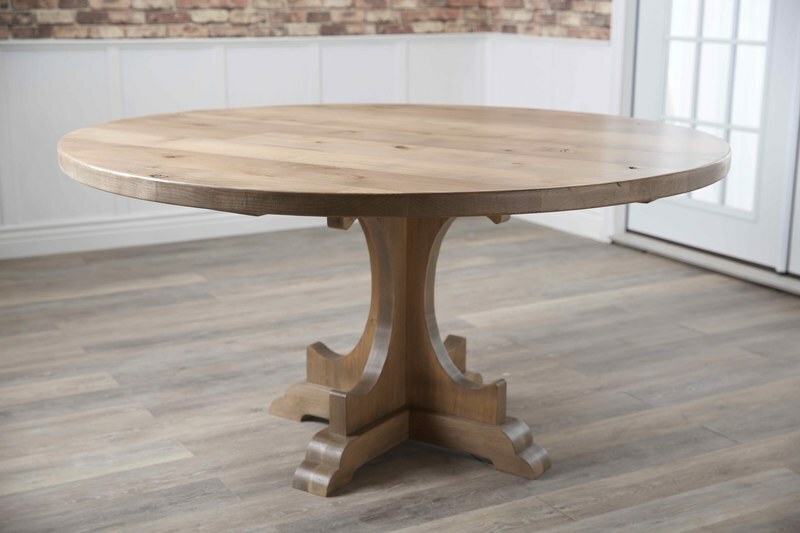 Solid Knotty Alder construction paired with a polyurethane finish gives Vera the strength and durability your family needs without sacrificing style. 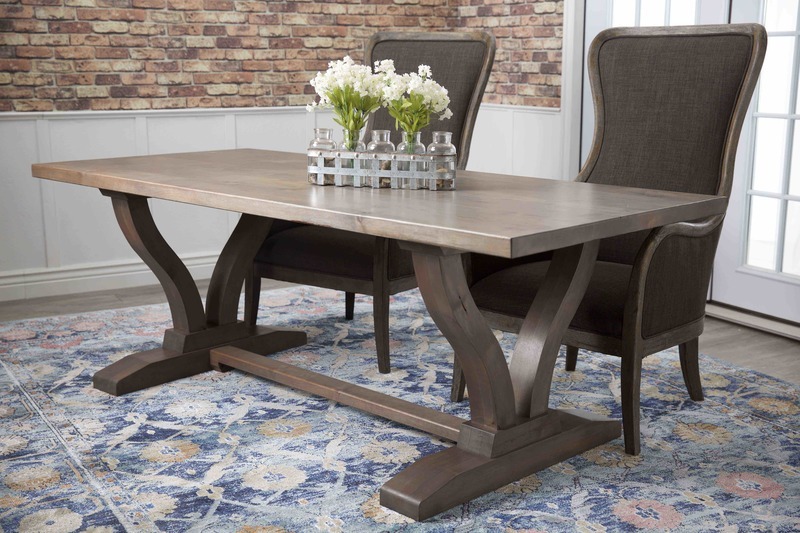 We paired the Vera Table with our Bentwood Dining Chairs for a look that is both classic and comfy! 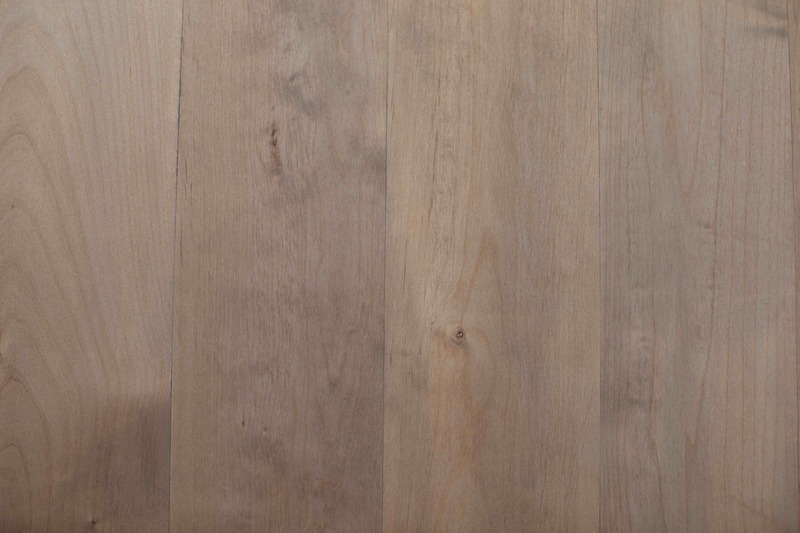 Our new Barn Wood Finish pictured here is reminiscent of reclaimed lumber, with warm grey tones beautifully distributed across the unique grain pattern of Knotty Alder. 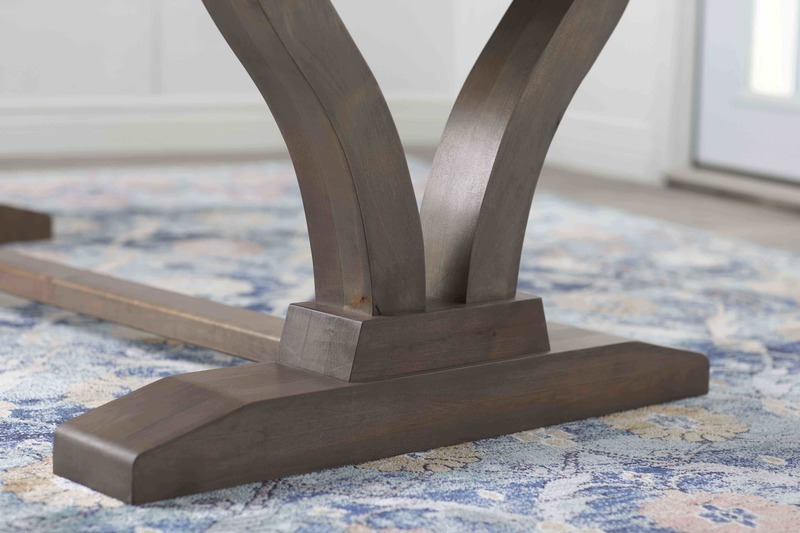 Like the Vera Table, the Tabriz Jewel Rug brings together the best of classic and contemporary styles.